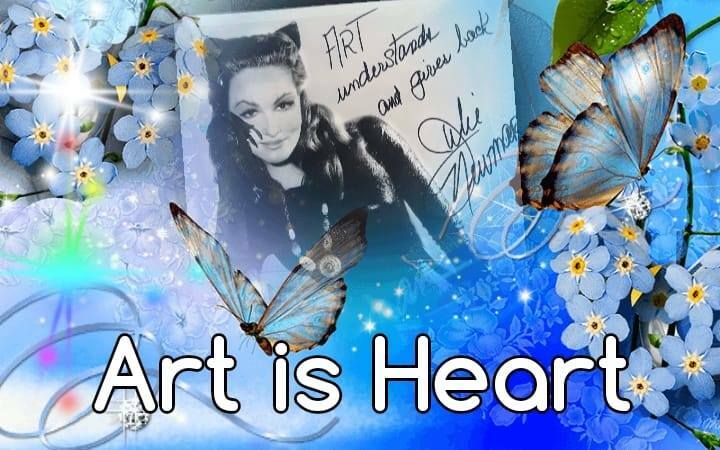 Art is Heart- is a subsidiary of “Thinking Agenda, LLC” which is represented through a simple page on Facebook and a mention on the company website and on cultscults.com. We at (Thinking Agenda, LLC) are primarily an anti-cult organization. Art is Heart started out as a fundraising effort and a butterfly boutique. We most definitely still need funds and support, and at 8000 likes just 2 weeks ago, we were plodding along with sales dripping in, and helping us on a small scale, as we were able to replace some equipment that would be normally out of pocket. Not only is this great for the anti-cult community but for artists, and we are branching out, with interviews planned with featured artists. So our objective and mission have been expanded to draw awareness towards non-profits, artists, art, art therapy, cult awareness, trauma, and abuse. We will still sell items–but we want to link up and help others. Dr. Cathleen Mann is overseeing “Art is Heart” in terms of the educational aspects (our content is responsible and educational) and vetting out organizations we will work with. We can pivot this page to be tremendously helpful to many different organizations and artists, so let’s join forces. So if interested drop us an email us at admin@thinking-agenda.com or private message Debra Van Neste through the Art is Heart Facebook page. Previous Thank you for the encouragement Julie Newmar! We love you!